Ian Cavanaugh, in conjunction with the local police department, provided education to the local community about the dangers of identity theft and how to protect yourself from it. 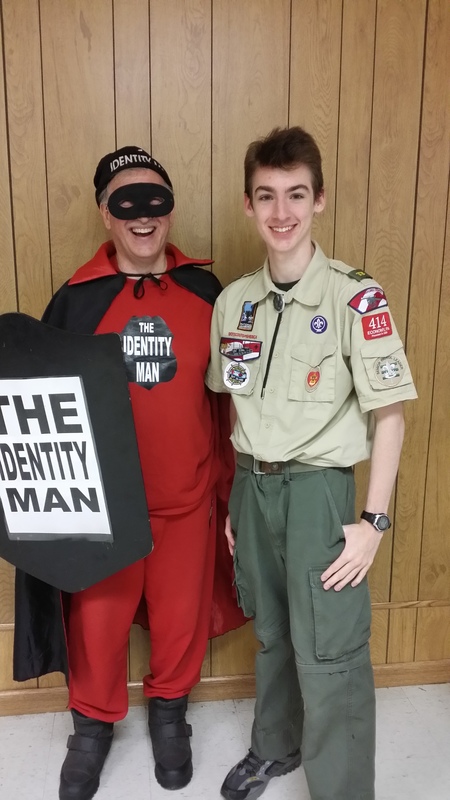 He worked with other scouts to produce an informational video for the police department website and developed a flyer describing some of the biggest dangers of identity theft and advertised the information evening and video. An information evening was held at a community fire hall. The event was well supported by local experts in various fields. John McCool: The Identity Man came in full costume with a table of resources and his awesome wife Kathleen McCool. He represents Legal Shield, an identity theft insurance. Michael Lauer, CPA from RC Holsinger Associates, P.C. provided incredible insight with a comprehensive presentation on the problems of identity theft involved within corporate and medical environments and to work with companies to help protect your information. Chief O’Brien, Economy Police Department brought information and statistics specific to Economy Borough where nearly 100 residents have been victimizes by identity theft in 2012. Sandy Cowal and Ginny Reed of the Ambridge Area Credit Union hand an abundance of resources about what they do to protect and repair peoples identities. Scouts led an activity table on password creation. 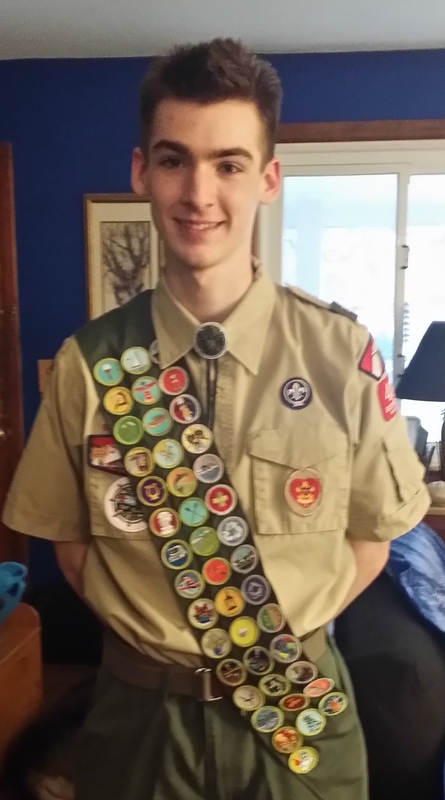 Ian wishes to thank Troop 414, the leaders, the community members, and his parents for their support and contributions!